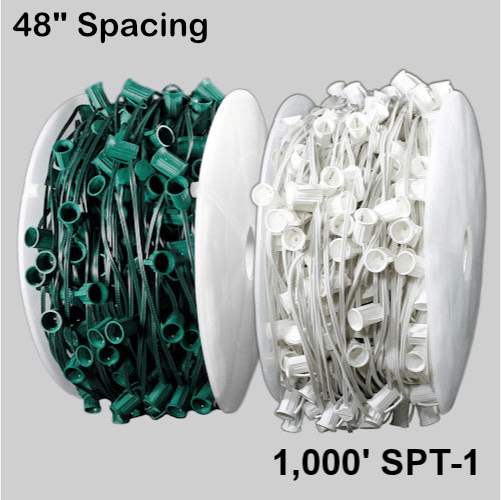 C9 bulk spools are popular for stringing Christmas lights around homes, office buildings and shopping malls. They can also be used along with party globe bulbs for weddings, home patios, restaurants, and home/office decor. Its intended use is to be cut to custom lengths and should not be used as 1 continuous length when using incandescent bulbs.